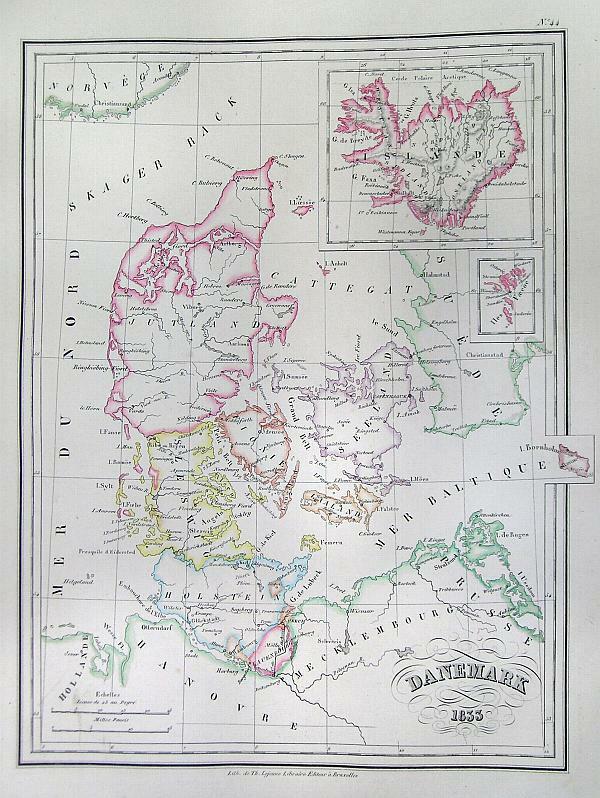 This is a beautiful 1833 hand colored map of Danemark (Denmark). Includes a beautiful inset of Iceland and a smaller inset of the Faroe Islands. All text is in French.